Sto’s reStore program helps you to safeguard your property’s value, increase energy efficiency and refresh curb appeal. Sto reStore has a program level specific to your restoration needs, offering a source for materials and services to assist in addressing all your maintenance and restoration requirements. The reStore program combines all of Sto’s knowledge and resources to provide a comprehensive program that focuses on maintenance, repair, and energy improvements of existing EIFS, Masonry, Concrete, and Stucco structures. The program helps to safeguard the long term value of your investment and helps your cladding meet the needs of today and the future. We combine our understanding of your goals to assist in developing a solution intended to enhance your investment, increase the performance of cladding and improve the look of the exterior. We work with Owners, Architects, Building envelope consultants, engineers and contractors to tailor a solution that will best help your design objectives. According to The Organization for Economic Co-Operation and Development (OECD), the existing building inventory in the United States and Canada represents approximately 119 million households and over 80 billion square feet of commercial building space. 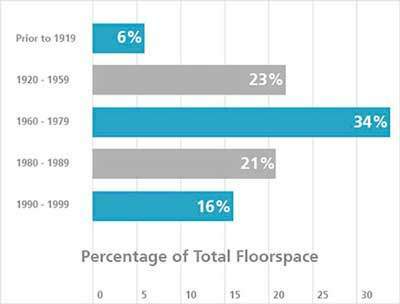 A substantial portion of this commercial floor space was built prior to 1980, and a substantial number of the buildings built in the first half of the 20th century are still in operation and consuming energy. The energy use and demand in commercial buildings has been growing rapidly over the past two decades, in part, as a result of the increase in numbers and usage of computers and other information technology. According to the US Department of Energy, commercial buildings account for 35 percent of US electricity consumption and 40 percent of the global demand. On average, existing commercial buildings spend 30 percent of their annual operating budgets on energy costs to which also accounts for close to 20 percent of all global carbon emissions. Rising energy costs, growing concerns about greenhouse gas emissions, as well as a new mandate from the International Energy Conservation Code (IECC) to expand the use and increase the minimal thickness requirement for Continuous Insulation (CI) for all wall assemblies in nearly all climate zones have created a great momentum for the restoration and retrofitting of aging buildings. The market research and consulting firm Pike Research LLC (now Navigant Research) projects that by the year 2020, the market demand for retrofitted solutions for commercial buildings will reach $152 billion (USD) worldwide. 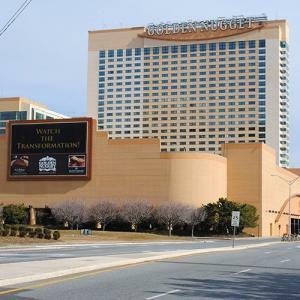 Sto Corp. has been involved in building restoration since 2000 and has been involved in some 82 million square feet of restored cladding projects to date. 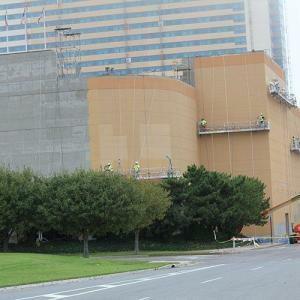 Our reStore program leverages both the unmatched technical expertise of Sto Technical Services and Sto Studio and the company’s full line of repair products for EIFS, Stucco, Concrete and Masonry construction, as well as, high performance Coatings that provide restoration solutions for buildings. 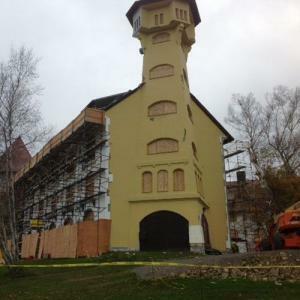 Whatever condition your building exterior is in, reStore has a program to help you regain the value of your investment. 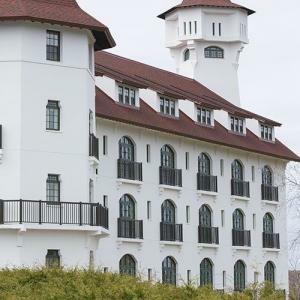 Whether simple maintenance is needed to remove dirt and mildew, or a complete façade restoration, there is a reStore program that provides the products and support you need. 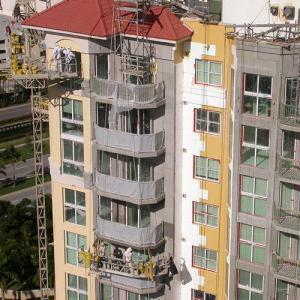 A basic program to remove dirt, mold and mildew, while refreshing or updating the color of the façade. 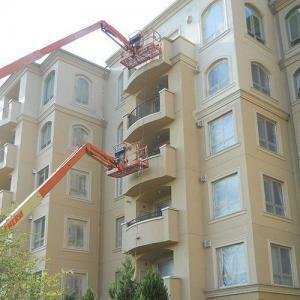 A program to repair minor damage to EIFS or stucco facades before it becomes a major problem. A cost-efficient program to correct moisture intrusion problems and improve the energy efficiency and aesthetic appeal of the facade. For extensive renovations, it often is most efficient to start over with a new cladding. Sto Technical Services provides support such as: toll free Hotline and Help Desk for technical inquiries, plan review for qualified projects, job-site visits and training, code compliance analysis, and warranty administration. High-quality products from one manufacturer. 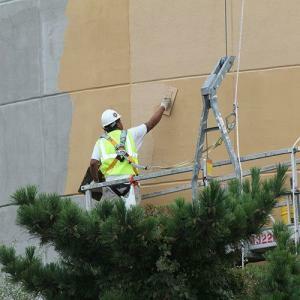 Sto offers a full line of repair products for EIFS, stucco, concrete and masonry construction, as well as, high performance coatings that extend the life of a building while reducing maintenance and enhancing curb appeal. Do more than just refresh the color of your building. Sto Studio offers design services that no other can provide – a professional façade design, color renderings and architectural treatments to visualize a building with different design scenarios so you can weigh the options and identify the best solution for your project. Sto provides warranties of up to 15 years, depending on the products selected. To learn more about the four levels of reStore and which program level is the right one for your project, please choose which group below represents you the best. Whatever condition your building exterior is in, Sto reStore has a customized solution to help you regain the value of your investment, from cleaning to restoration of the entire façade. New cladding that performs far better, far longer. 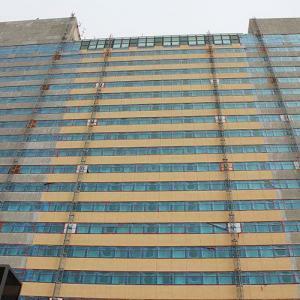 During a building’s lifetime, it can require major exterior renovation. 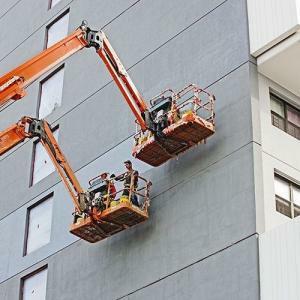 Overcladding is an excellent way to extend a building’s effective life that’s far less expensive than rebuilding. The impact of overcladding with Sto is dramatic. Take a building diminished by wear and tear and bring it up to the standards of today’s structures both in appearance and energy efficiency. More than just a pretty restoration, Sto cladding systems stay looking new longer, thanks to the self-cleaning properties of Stolit® Lotusan® textured finish, which helps nature do its job by gently repelling dirt so it can rinse away with each rainfall. 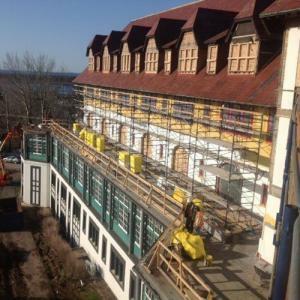 Sto uses a systems approach to restoration, assisting in diagnosis of the condition of the building exterior and then in the selection of the right products and processes to bring it to the desired level of performance. When new Sto cladding is in place, your building will work for you and with you, looking attractive for years, improving indoor air quality and lowering overall lifecycle costs. The clean and recoat process combines a thorough pressure washing and surface finishing with a high performance Sto coating. 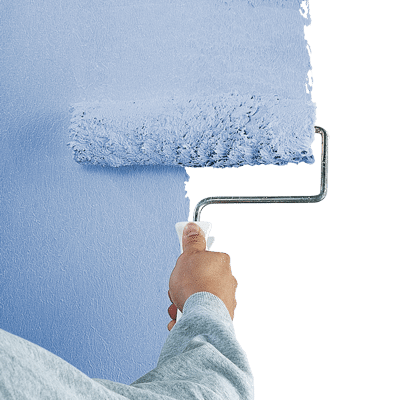 Sto coatings deliver far more than paint; they actually resist accumulation of dirt, mold and pollutants, preserving a building’s value while enhancing its appearance and reducing maintenance needs. Sto coatings are integrally colored with high-quality pigments to complement building additions or to totally transform a structure’s appearance. You’ll see real, quantifiable results when you protect your building with a Sto high performance coating, including improved resistance to water, mildew, cracks and fading. 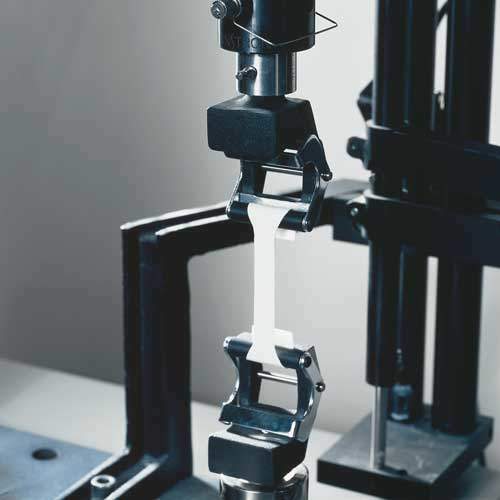 Cracking and other damage is repaired with a substrate-specific repair product. 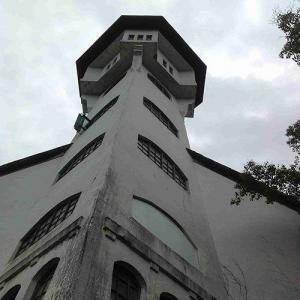 Often, an additional layer of basecoat with embedded mesh is used to restore the building exterior to its original condition. 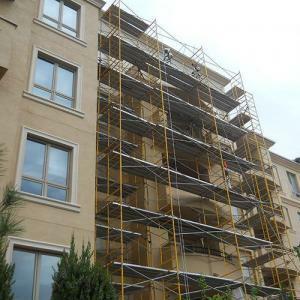 Sto repair products are engineered for most substrates, including EIFS, stucco, concrete and masonry. After damage is repaired, a high performance Sto finish is applied to finish and seal the surface, protecting it from the elements and slowing down natural wear and tear. Now the exterior is resistant to wind-driven rain, UV rays, mold and mildew. 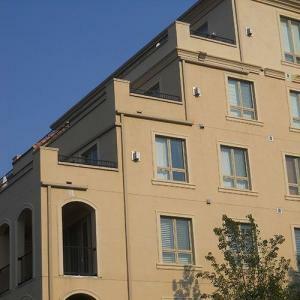 A cost-efficient program to correct moisture intrusion problems and improve the energy efficiency and aesthetic appeal of brick, block or stucco facades. Sto insulated wall claddings have the power to transform an unsightly, inefficient older building. Sto’s latest Continuous Insulation innovation is StoTherm® ci Lotusan®, which integrates three key components into an energy-efficient insulated wall cladding system: StoGuard® continuous fluid applied air barrier, StoTherm® exterior insulated cladding and Stolit® Lotusan® textured finish with patented self-cleaning properties. This state-of-the-art system stays attractive for years, in addition to significantly increasing thermal heating and cooling efficiency while improving indoor air quality and lowering the overall lifecycle costs. Sto offers you options. 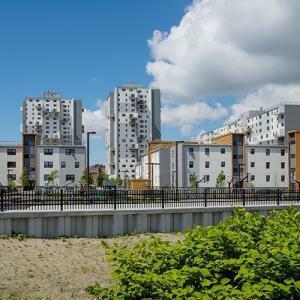 Instead of extensive repairs, it’s often more efficient to remove all existing cladding and replace with a superior, sustainable Sto wall cladding system that’s extremely durable, improves building performance and looks fresh far longer. When it makes more sense to reclad than repair, a Sto wall cladding system is the low maintenance, high performance solution. 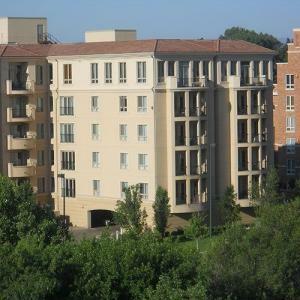 Sto can also overclad brick, block and stucco walls, dramatically improving curb appeal and extending the life of the building’s exterior. A whole new outlook for your building’s exterior. 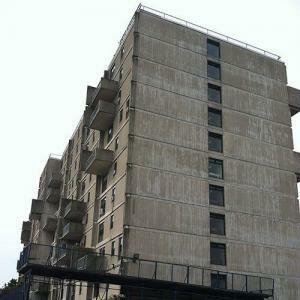 Airborne grime, splash-up from roadways and pedestrian traffic – buildings get dirty, especially in urban areas. Sto’s reStore program helps you to safeguard your property’s value, increase energy efficiency and refresh curb appeal. Sto reStore pulls all the pieces together, offering building owners a source for materials and services to assist in addressing maintenance and restoration requirements. Sto can dramatically improve the appearance of building exteriors after cleaning and finishing with a proprietary Sto coating, eliminating the soiling and fading that has occurred over time. It’s one of the simplest, most cost effective ways to ensure a building communicates its value to tenants and visitors alike. 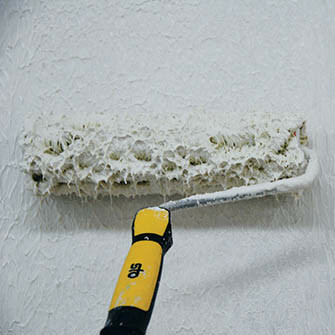 All Sto decorative coatings and finishes are vapor permeable, easy to apply, safe and water-based, and have low VOCs. We incorporate sustainable practices throughout our operations, earning us ISO 14001 certification for our environmental management system. Many of our products help reduce the environmental impact of construction by saving energy and using materials with recycled content. 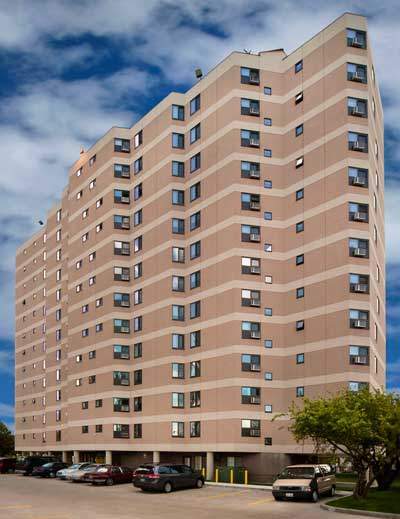 Exterior elastomeric wall coating withstands wind-driven rain and bridges hairline cracks. Designed for extreme elasticity, able to elongate over 250 percent. 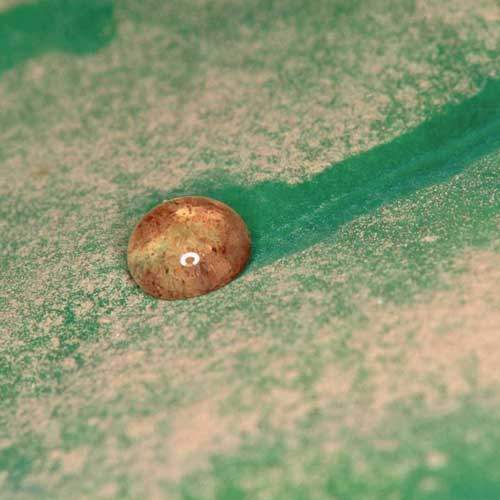 Resilient silicone-enhanced formula resists dirt pickup better than silicone coatings. Unique exterior water-based acrylic wall coating. Lotus-Effect® Technology mimics the self-cleaning capabilities of the lotus leaf – dirt simply runs off. Keeps property clean, saves money on maintenance and recoating. 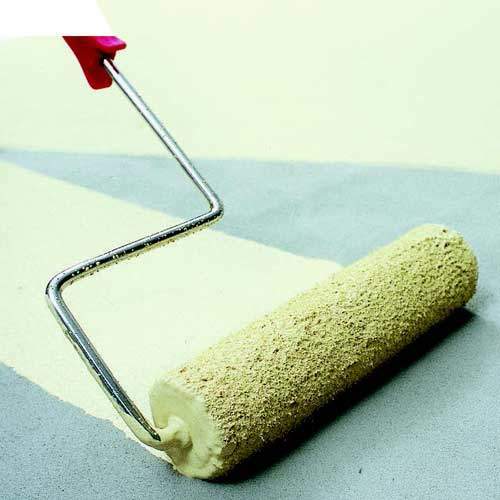 High-build, water-based acrylic coating with excellent fade resistance and substrate adhesion. Provides superior protection against weather, salts and environmental pollutants. Designed for use over both vertical and horizontal exterior.